While it is uncertain that Shakespeare's Romeo and Juliet ever existed, romantics flock to Verona, Italy, to the Casa di Giulietta (Juliet’s house). Once probably owned by the Cappello family, who may have inspired the bard, this tentative connection has made it a major tourist attraction. It does, after all, have the balcony made famous in the play (IMAGE ABOVE). But the popularity of the site has resulted in some problems. A year ago, authorities banned the posting of notes addressed to Juliet by the lovelorn on the walls of the building, because of the damage the chewing gum and other adhesives have caused. 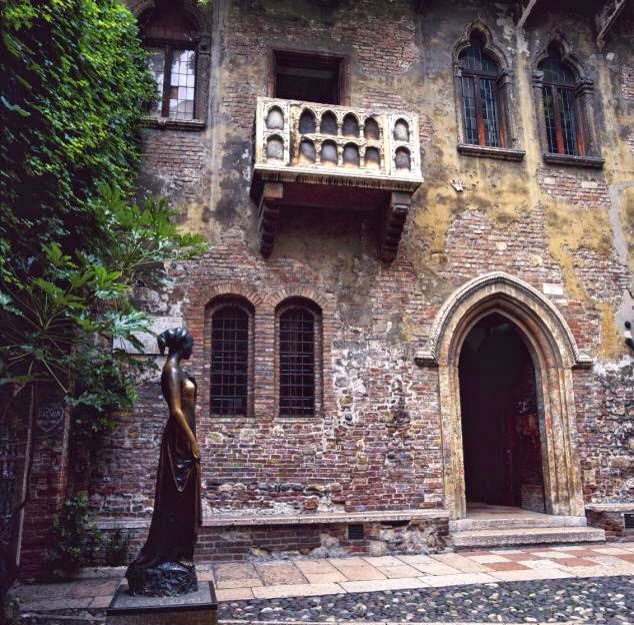 Now it has been revealed that the right breast of the bronze sculpture of Juliet which stands in the courtyard has been disfigured at the hands of those same tourists. Their sentimental touches – meant to bring luck in love – have in fact rubbed holes in her bosom. The statue is believed to be at risk and it has been suggested that a portion of visitor entrance fees be devoted to its maintenance.